July 1967-1970 Assigned to the 61st Assault Helicopter Company (AHC) in Vietnam. 21 March 1969 Damaged by enemy mortar fire. Recovered and repaired. 19 April 1970 Damaged by enemy ground fire. Recovered and repaired. 25 April 1970 Damaged by enemy mortar fire. Recovered and repaired. Stayed in the fight in Vietnam until October 1970 amassing 1,655 Combat Hours flown. 1970-1971 Assigned to the University of Michigan, Office of Naval Research, Pensacola, FL. 1971-1983 Assigned to numerous units in Germany including 3rd Aviation Battalion Combat (ABC); VII Corps Aviation; 349th Aviation Company; 48th Aviation Company; 223rd Aviation Battalion; and HHT, 2nd Armored Cavalry Regiment. 1983-1986 Assigned to U.S. Army Aviation Center (USAAVNC), Ft Rucker, AL. 1986-1988 Assigned to 2nd Infantry Division, Camp Casey, Korea. 1989-2003 Assigned to the Alabama Army National Guard. 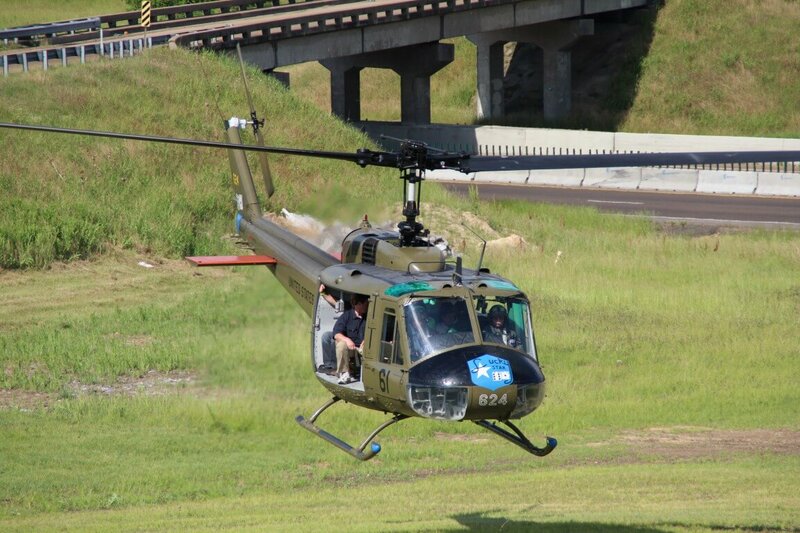 2004-Present Acquired by the Army Aviation Heritage Foundation and restored back to her 61st AHC paint scheme. 1969-1971 Sent new from the factory to Vietnam and served with 191st Assault Helicopter Company. - 191st slogan/nickname was the 'Boomerangs' because boomerangs always come back! 1971-1975 Served with 5th Army at Ft Sam Houston, San Antonio, TX. 1976-1995 Served with the Alabama Army National Guard at Ft Rucker, AL. 1995-1998 Retired and placed in storage. 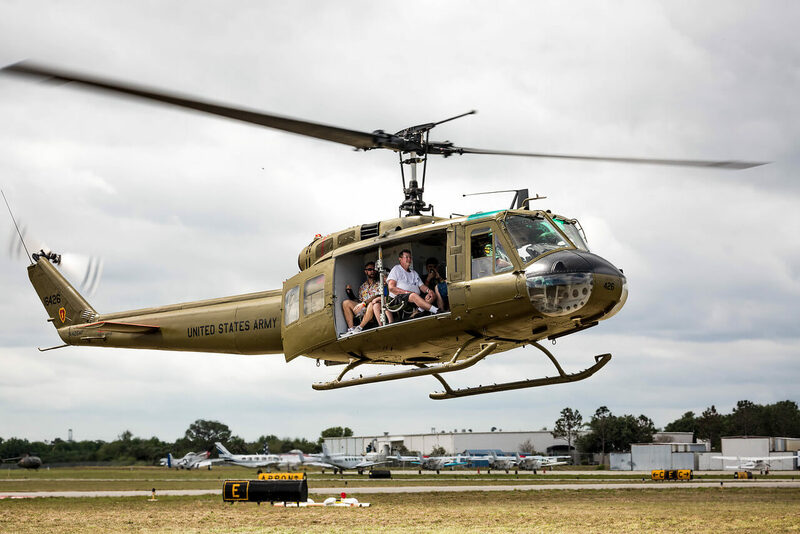 1998-Present Acquired by the Army Aviation Heritage Foundation, restored, and FAA certified. Painted with colors of A Company, 229th Assault Helicopter Battalion (AHB), the largest AHB in the Army at the time. 1971-1988 Assigned to 25th Aviation Battalion, 25th Infantry Division, Schofield Barracks, HI. 1989-2001 After a rebuild at the Corpus Christi Army Depot, TX, 426 served with the Louisiana Army National Guard. 2002-Present Transferred to the Army Aviation Heritage Foundation. Restored to flyable condition and in the original paint scheme. 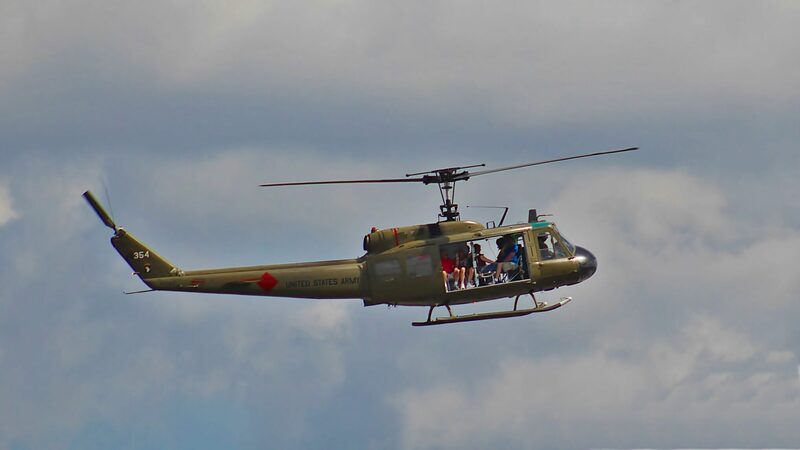 The Sky Soldiers sometime display 426 with the Red Medical Cross in honor of the famous Huey Dust-Off Medical Evacuation (MEDEVAC) aircraft of the Vietnam War. May 1970 Assigned to A Company (the Comancheros), 101st Aviation Group, 101st Airborne Division (Airmobile), Camp Eagle, South Vietnam. 1971-1975 The aircraft sustained major damage after a hard landing at Camp Eagle in July 1971. The aircraft was repaired and stayed in the fight until the U.S. withdrawal in 1975. 1976-1986 Assigned to Ft Ord, CA. 1986-1992 Assigned to 1st Aviation Regiment, Ft Riley, KS. 1992 Deployed to Operation Desert Shield / Desert Storm with 4th Battalion, 1st Aviation Regiment, 1st Infantry Division, during the period April-July 1992. This qualified the aircraft as a rare two-conflict veteran with over 1500 combat flight hours. 1992-1998 Returned from the Middle East in July 1992 to Ft Riley, KS, where she served until December 1998. 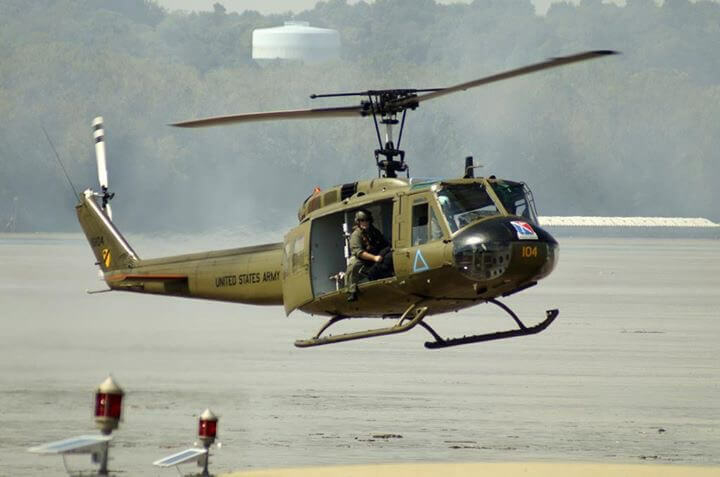 1998-Present Acquired by the Army Aviation Heritage Foundation and restored back to her original "Comanchero", 101st Airborne Division designation.